Looking for something to do but only have a day to get away? Look no further. These day trips will whisk you away from your busy life, offer that much needed break and won’t break the bank. The longest explored cave system is at Mammoth Cave. There are lots of different types of tours suited for all different types of cave enthusiasts. Prices vary. Located in Dayton, OH, this museum is incredible. Explore more than 300 airplanes ranging from a command module from Apollo 15 to planes from the Cold War, World War I and II and MUCH more. Best of all…it’s FREE. Known as the first gateway to the west, the Cumberland Gap offers a historic log cabin settlement and over 85 miles of trails. Stunning scenery awaits!! Break it up into a day or travel the entire trail …up to 3 days. Stops at Four Roses, Heaven Hill, Jim Beam, Maker’s Mark, Wild Turkey, Woodford Reserve and Town Branch. Prices start at $99. An award winning golf course, hotel, spa, shopping, restaurants and oh yeah…a full casino floor. Located just about 45 South of Florence, KY, this place has it all. Featuring more than 100 stone arches, this park is stunning. Located in the Daniel Boone National Forest, you’ll be amazed at the beauty of mother nature. A fun place to go repelling if you aren’t afraid of heights. Ride and view horses and tour the worlds largest horse museum. 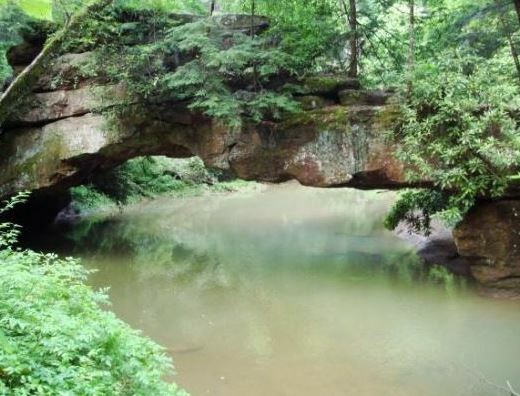 This 1,200 acre park is located just outside of Lexington and offers camping as well. $8-$16. This village has been restored to its original state representing life from 1805 – 1910. Guided tours are given and you can even stay at the Inn. Located in Harrodsburg just outside of Lexington. Come on down to Great American Ball Park to watch the Reds play. Lots of deals and giveaways all summer long. Visit the only shark ray exhibit in North America. Watch sharks, fish and more swim over your head. An amazing family experience. Located in Newport, KY.
Come experience the Cincinnati History Museum (that includes one spectacular train display), the Museum of Natural History and Science and the Children’s Museum. An Omnimax Theater is also on-site. A great spot to spend a day with the family. $7-$15. Come visit all the animals and enjoy the beautiful plants and flowers as you walk the park. Loads of shows and plenty of fun await.